Greetings, dear readers, and happy Monday! I hope you enjoyed the weekend and are ready for another week ahead! Now that Thanksgiving has come and gone and sickness seems to finally have left my house, it's back to business as usual. Until the craziness of the next holiday takes over, of course! Until then, let's jump back into the swing of things, shall we? 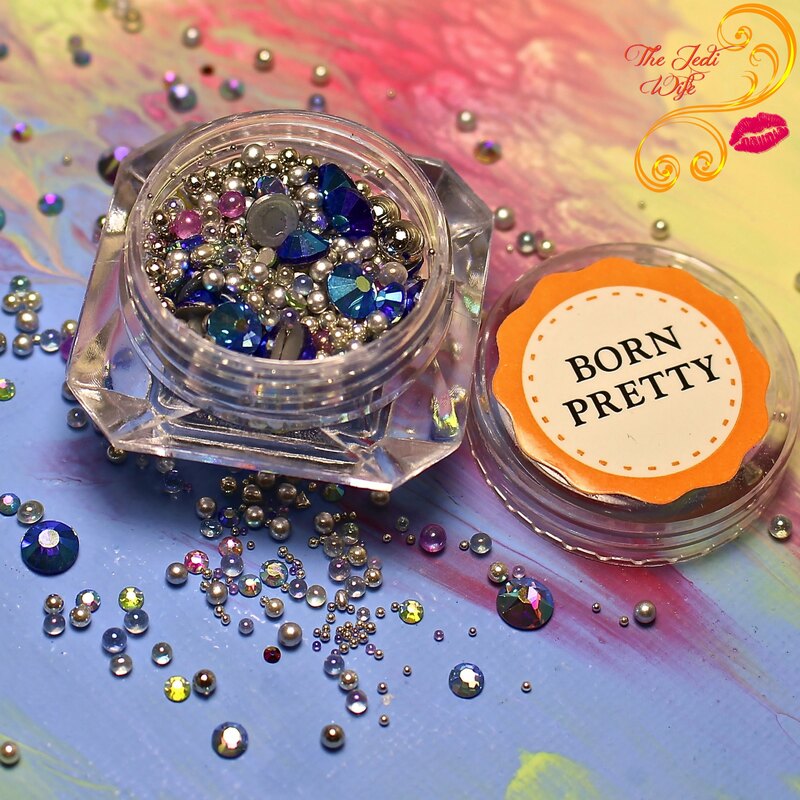 Today's blog post features more nail art supplies from Born Pretty Store. I was sent this jar of assorted rhinestones and caviar beads to review. I was torn trying to decide between several very organized designs using many of these stones, and in the end, I opted to embrace the randomness that was included within the jar. Rather than creating a specific look, I just picked up a few pieces and let them cluster together however they would on my nails. Check it out! I opted to layer these rhinestones and caviar beads over Ellagee Polish Doorbuster 2017. This set contains flat bottom rhinestone in assorted sizes and colours, silver caviar beads ranging from tiny to medium, and a variety of other round caviar beads in pearl and iridescent finishes. I generally prefer some type of order or sense to my nail art designs, but I have to admit it was quite fun and freeing just to let it work itself out as I went! I just added a little extra top coat to my nails and pressed on the rhinestones and beads while it was still wet. I then sealed everything in with another layer of top coat to help keep them in place. While this method worked well for me, I did start noticing the occasional bead fall off after a few days of wear. You can also apply these using a stronger nail glue for longevity, but I knew I'd be switching my nails up so the few days was enough wear time for me. Unfortunately, the link for this specific product is no longer working, so I don't believe this exact item is still being stocked on the Born Pretty Store website. Have to fear, dear readers, they have many other rhinestone and bead options available, and you can choose the specific colour family, sizes, and styles you prefer. While you are shopping at Born Pretty Store, you can save 10% off full-priced items with discount code QWL-91. While there, you can pick up numerous items and stock up for all your upcoming nail art needs! Do you enjoy wearing rhinestones or caviar beads on your nails? Do you prefer precise designs or do you like to embrace the randomness? I'd love the hear from you! While these beads are a beautiful concept, and sound simple enough to use. I just don't see them being useful for a busy mom, who always has her hands in dish water, or constantly cleaning house. Useful? Definitely not! But then I'm a busy mom with two young boys and still wore them through holiday cooking, cleanup, and a ridiculous number of loads of laundry. This is such a fun combination of rhinestones and microbeads! Wow..This looks gorgeous.. BornPretty Store has such amazing collection of nail art tools and other stuff.. You did a splendid job.. I love this look. I will enjoy 3D embellishments vicariously through you. What a fun collection of gems! I love how many things you can create with one container. So pretty! I love using these types of embellishments for my craft projects. Everything is better with sparkle! I swear you have the most queenly nails! I really like the random look and that base polish is an eye popper. I love the beads on the polish look. My daughter would do something like this! I admire it on you but it would drive me nuts to have them on my nails. I'd pick at them and ruin the manicure. I love how they look all clustered together. I’m now inspired!! Your nails are so pretty! I love the addition of the colourful stones on the glittery polish. It looks good. I would have used only one or two stones, but it's cool. I love the way that came out, I think sometimes it's better to just embrace that randomness. Love the colors and the variety of the stones. It looks good.. You nails looks very pretty and beautiful.. 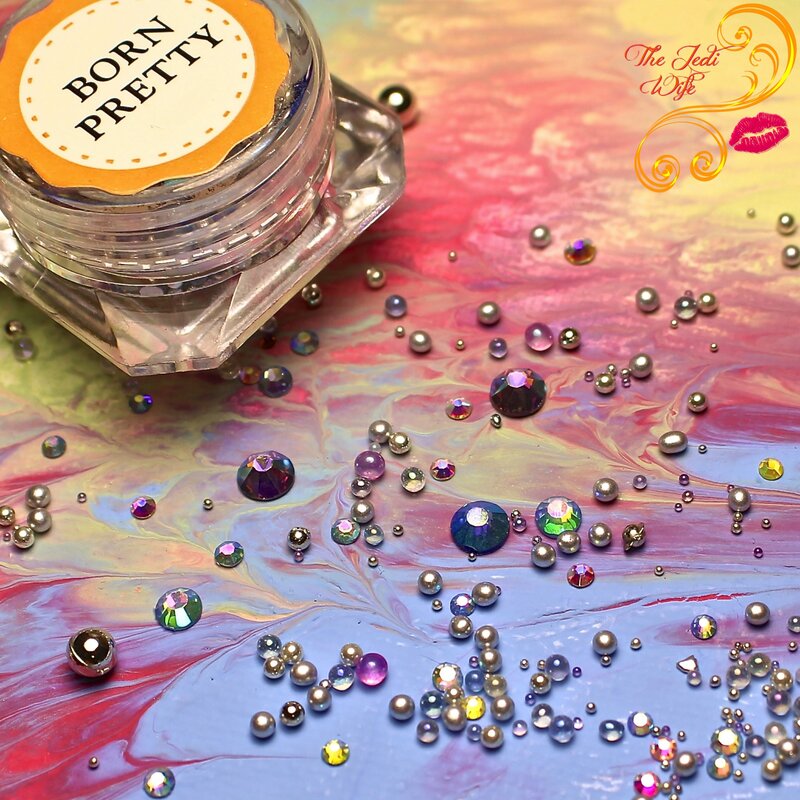 The nail art supplies from Born Pretty Store seems cool. They are just so pretty! Wow! These are stunning! Not sure if I would use them for myself, but my daughter would love them! OMG I'd keep a pot of those stones just to look at, and smile when stressed - they are so pretty! I'm starting to do my nails more, and so is my oldest daughter, and we love your style. It is very inspiring and looks easy to recreate. 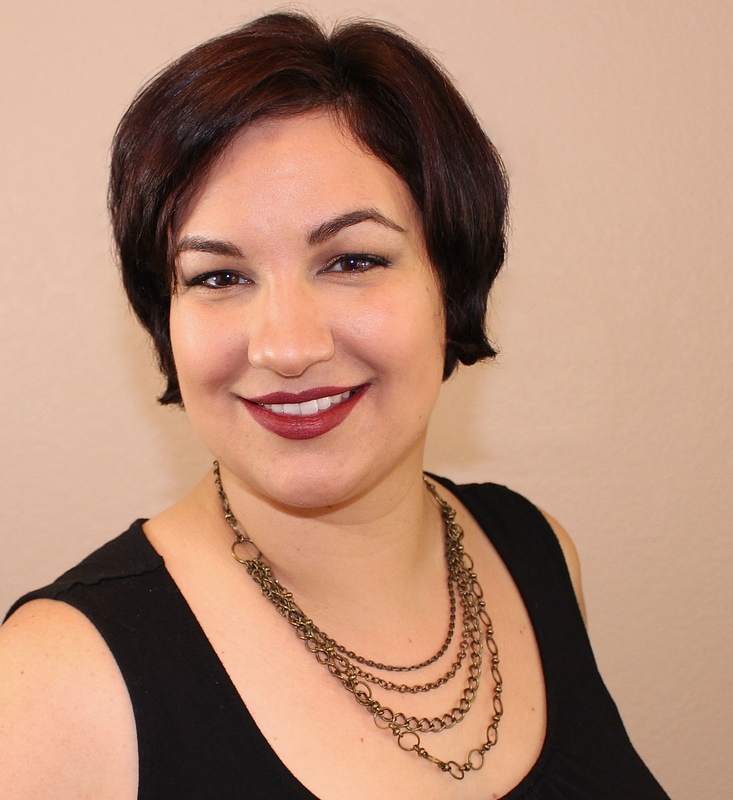 I love the darker color for fall and the stones that add a touch to step it up a notch. Your posts never fail to amuse me. I simply love your style. You make it look so easy and elegant at the same time. Love these studs. Might pick one for myself too. :) Cheers!! Omg your nails are gorgeous! I just love that glitter polish to begin with but with the added gems YAS!!! Oh, these look so pretty! I love that nail color too. Those beads are beautiful! I love your nails too - which reminds me - I need to paint mine, haha! Indeed a cool way to add some spice and colors to our busy nails. I always want it to look fabulous just like this. Looks fun! I couldnt pull it off but it looks good on you. I may have to try it out on my niece. She loves nails like that. These look great on your nails. I'd love to try these out though someone would have to apply them for me.